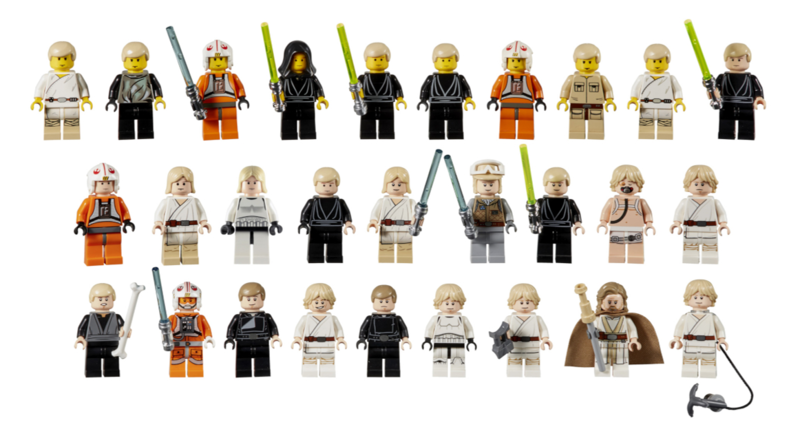 More than 1000 LEGO Star Wars minifigures have been produced since 1999 and many characters have been updated on several occasions. LEGO has today published six galleries, showing how some of the most popular minifigures have developed. Please note that the galleries are not intended to exhibit every version of each character, instead showing a selection. However, you can view them all in our minifigure database and filter by character name. What is your favourite version of each character? Let us know in the comments. I wonder why they didn't include Leia in the Bounty Hunter disguise from the Jabba's Palace set. What!?! ... No Finch Dallow retrospective...?!! LOL! No polybag chrome Darth vader lego? I have probably four minifigs from that whole list, i do like santa yoda, Darth Christmas and white chewie though..
Where is QUEEN AMIDALA?? I love it! 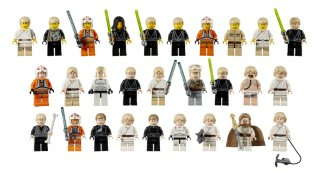 I can’t help but look at these and feel like Lego left out several important minifigures for each character, especially Leia. The only one that looks mostly complete is Luke’s. Best Chewbacca is Old Brown Chewbacca. There’s a hell of a lot of Darth Vaders missing but so many of the variants are just with or without eyebrows or pupils on the head underneath that I’m not surprised! How about my favorite bounty hunter? @mkrey yeah, let's do one for Zam Wesell! Despite the terrible state of Star Wars nowadays (thanks Disney), I am SO glad we no longer have to grin and bear those Clone Wars faces. What were they thinking with those? I feel there is some favoritism for a moisture farm boy... and a lack of a certain smuggler... It was actually my goal at one point to have all of the (regular set releases) SW Minifigures. Yeah, that's not happening! 20 Years of LEGO Star Wars!